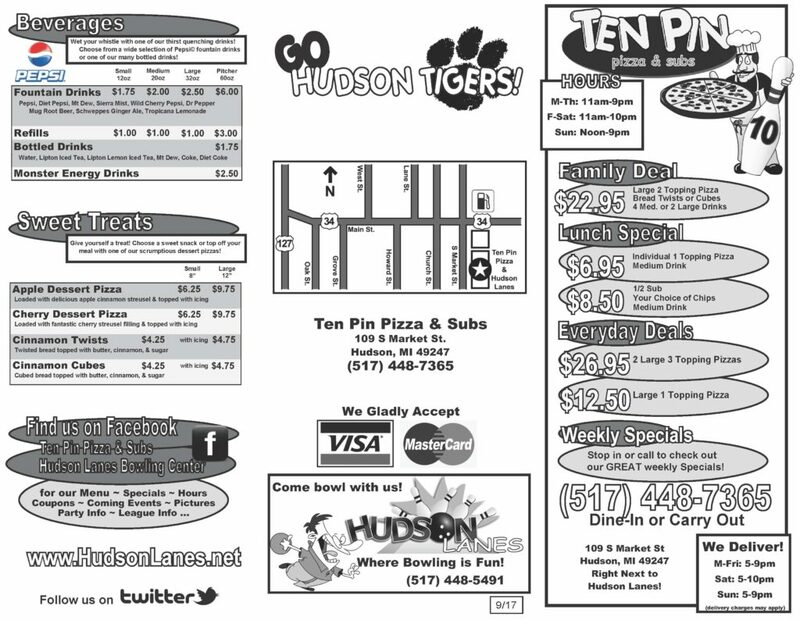 Ten Pin Pizza & Subs has Hudson's Best Pizza! 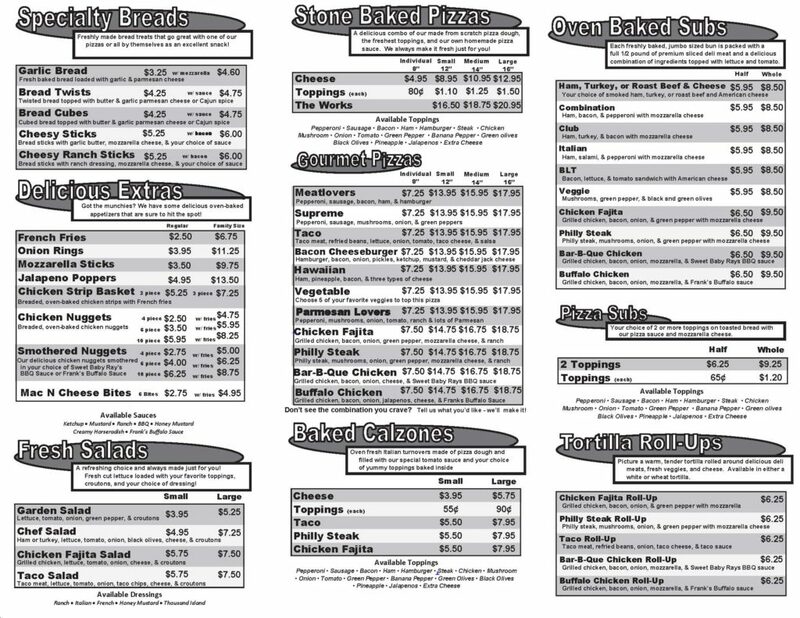 Call us now at (517) 448-7365 to place your order for eat-in or carry-out! Ask about our Monthly Specials and Everyday Discount Deals.